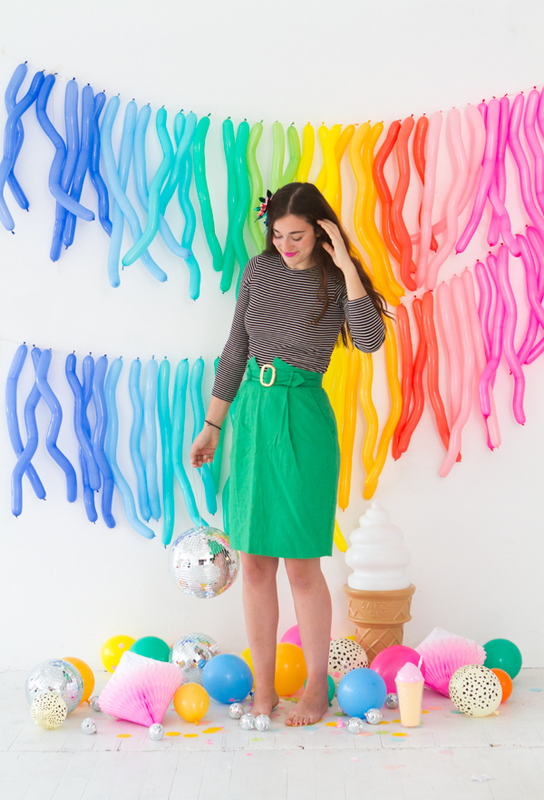 So many exciting things are happening at the Oh Happy Day Party Shop! 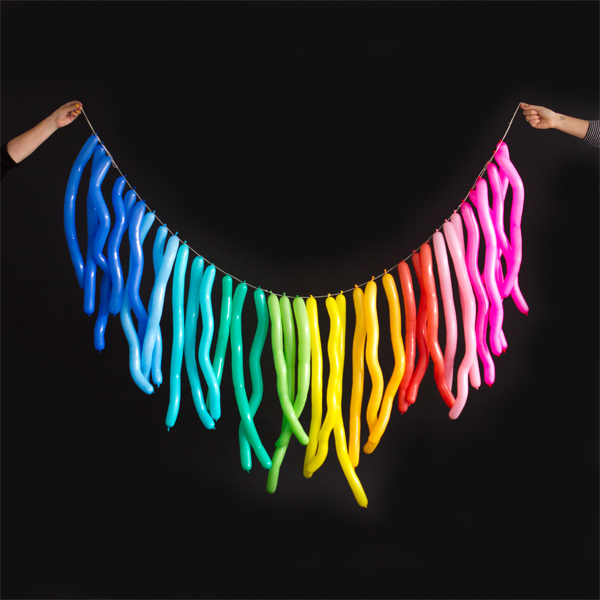 We just added a bunch of new items for the holidays and after many requests we’ve started selling long balloon packs in two sizes: 160 and 260. 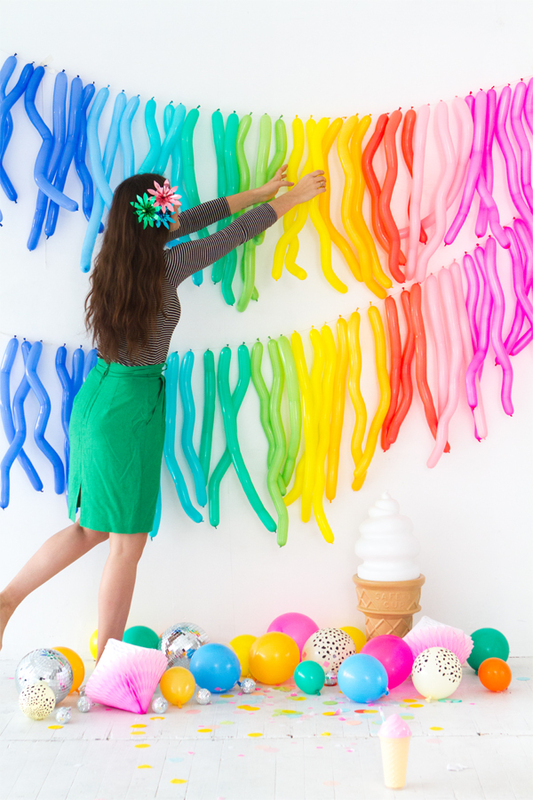 It’s easy to make the color balloon wall installations we’ve been showing on the blog (like this Cursive Word Backdrop and this Balloon Wall Photobooth). 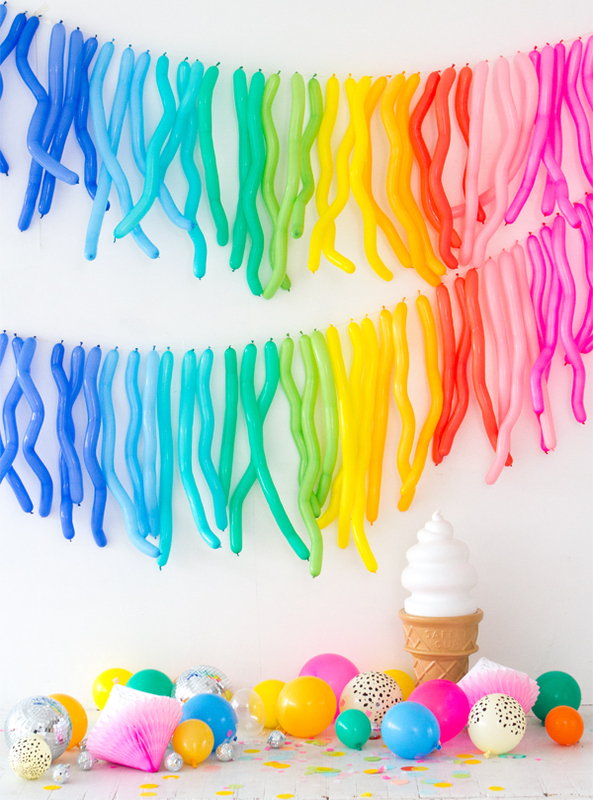 Today’s garland was inspired by this instagram from our friends at Thimblepress but we added our own twist. When we set up these long balloons we like to make them zigzag to give them a little structure and make them a more playful shape. 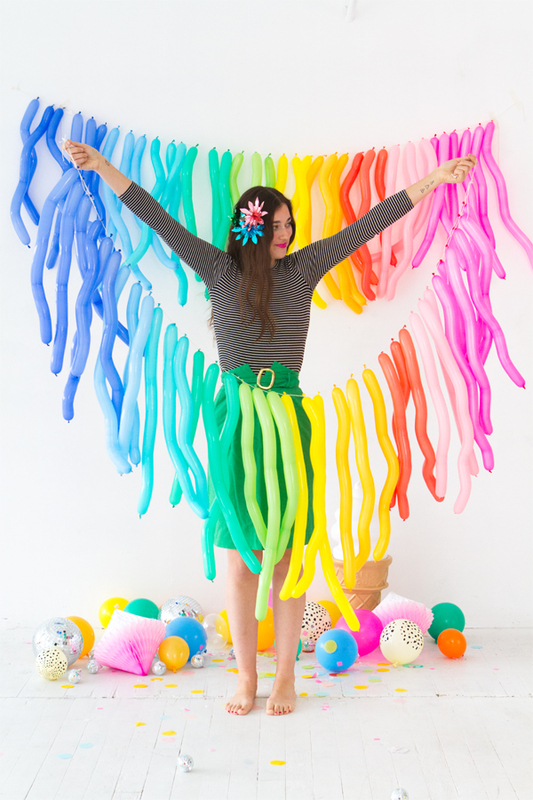 We did a whole garland like this in rainbow form. So festive and so easy! With a balloon pump these can be blown up in about 30 minutes. Just attach to a string and voila! You’re ready to party! See the full instructions below! Step 1: Blow up a 260Q balloon to near full length, leaving about 4-5 inches at the end not inflated. Step 2: Starting from the knotted end, bend folds into the balloon in a zig-zag fashion. Hold the previous fold in place when making the next to help guide the air toward the non-inflated end. Step 3: Once you’ve made zig-zags in the balloon, knot the end. Trim the end as close to the knot as possible. Repeat until you have multiple finished balloons. Step 4: Tie twine around the knots, and hang up to enjoy! That is such a cool idea, I love it! I love this idea! I think it would be really cute with green and blue balloons for an under the sea themed party. Thanks! SUPER cute, guys. So good! 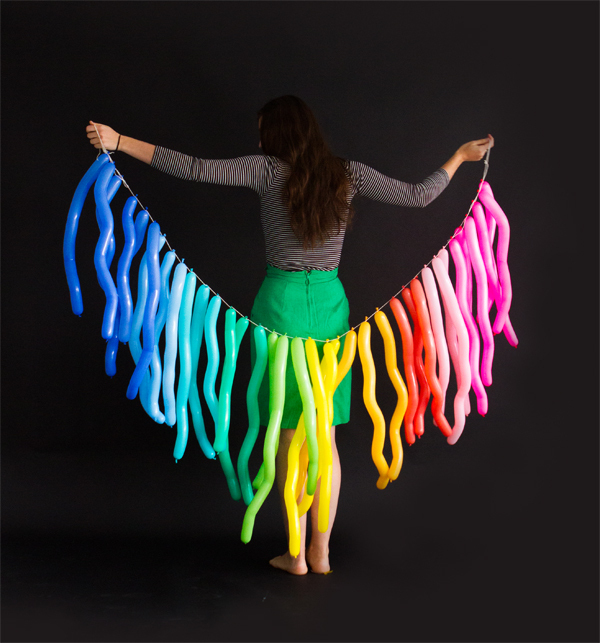 Do these balloons exist in black? Would love to make a spooky Halloween version of this!! your photobooth ideas give me such inspiration!!! LOVE this one!!!!! !